CNACC (Shanghai) Import & Export Co., Ltd.
2, Q: Can you provide samples 9 A: We provide existing samples with unit cost , freight on your side . For customized designs , we will charge sample mold fee . 3, Q: What is your delivery time 9 A: Generally 3-4 days after payment for stock 20-30 after payment for customized order , it depands on the products & quantity . Dongguan Kaida Apparel Accessories Co., Ltd.
it is a high-tech enterprise which integrates r&d, manufacturing ,sales and marketing with its own professional team. folding way straigh cut ,end fold ,centerfold, miter fold, manhattan fold, etc. if you fly to hangzhou directly, we can pick you up at the airport. We can service many kinds of garment accessories, including Patch, Woven label, Lace, Embroidery Thread and so on. Our goal is to provide services to our customers with high quality products, speedy delivery and best price. Professional Team With Young but professional trade team, serving you with heart, beyond your expectation. pvc labels and patches are perfect for which usually need more unique brand identification methods than just woven labels. we have produced pvc and silicone labels not only for apparel and footwear companies but also to the automobile and packaging industries. Hebei Ningheng Commerce Co., Ltd.
Shanghai Ruizhao Garment Accessories Co., Ltd.
taffeta woven labels are the cheapest woven garment labels. each end fold labels are often sewn on each side ( left /right ends) onto the garment. the main advantage of woven labels with woven text and design,over printed labels, is they do not fade in the wash. they also look richer, adding value to your product. they can vary from neck labels, size and tax tabs, jacket labels to being used as a design feature. the baseball cap is a part of the traditional baseball uniform worn by players, with the brim pointing forward to shield the eyes from the sun. a baseball cap is a type of soft cap with a rounded crown and a stiff peak projecting in front. Q: May i have new sample made with my design for confirmation9 A: Yes. We can do the high quality sample same as your design for confirmation. The minimum order quantity depends on the specifications of the label sticker you want. Wuqiao Haoxuan Import Export Trade Co., Ltd.
New style high quality custom hat decoration metal words labels 1. All our material will be tested by SGS before production. 2. Full control of process: 2.1 during the part production, our QC worker will inspect the part size every one hour, this will help us to keep the correct tolerance during production. 2.3 before shipping, our package worker will check the parts surface to confirm if qualified to ship. view details view details view details view details view details Fashion Design Hats Caps Beanie Cheap Custom Blank Clothing Labels Material Polyester, cotton, damask, lurex matallic thread, yarn 50D,75D,100D,150D Size/color Based on customer's requirments Edge Weaving, die cut, ultrasonic cut, heat cut or stitching along the side Folding End fold,Single Side Fold, Rolling, Miter Fold, Center Fold, Manhattan Fold, Straight Cut Usage Garment, shoe, hat, handbag, suitcase and other home textile product Lead time Sample time: within 3 days Mass Production time: 5-10 days or based on your quantity Our advantages 1. best service 2. free design 3. no moq 4. high quality and low price Pictures show Usage picture Packaging & Shipping Hangzhou Ouhong Garment accessories Co. , Ltd is one of the professional garment accessories supplier in Hangzhou, Zhejiang, China, enjoying high reputation at home and abroad. We can service many kinds of garment accessories, including Hang Tag Printed, woven label,hang tag, care/washing label, rubber &leather patch, embroidery patch, shopping bag, plastic tag,sticker and so on. 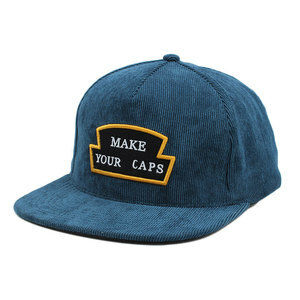 Alibaba.com offers 57,443 custom hat label products. About 37% of these are sports caps, 19% are garment labels, and 1% are packaging labels. 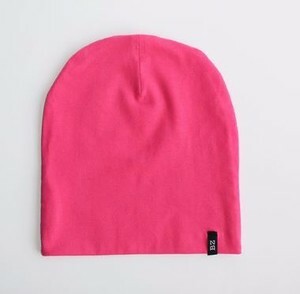 A wide variety of custom hat label options are available to you, such as metal, 100% acrylic, and 100% cotton. You can also choose from bags, garment. As well as from plain, applique. And whether custom hat label is character, striped, or image. There are 57,364 custom hat label suppliers, mainly located in Asia. 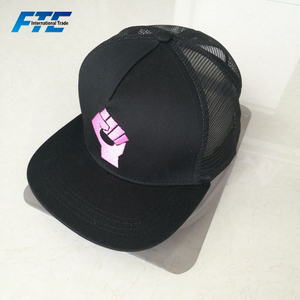 The top supplying countries are China (Mainland), Hong Kong, and Pakistan, which supply 98%, 1%, and 1% of custom hat label respectively. Custom hat label products are most popular in North America, Western Europe, and Oceania. You can ensure product safety by selecting from certified suppliers, including 14,277 with Other, 6,314 with ISO9001, and 2,073 with BSCI certification.